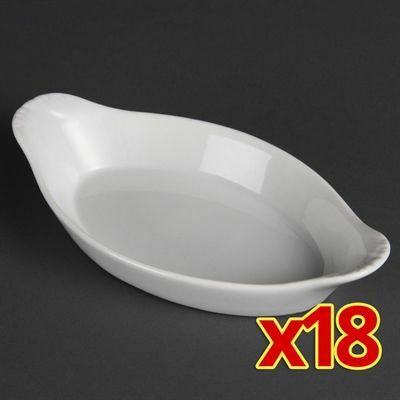 Includes 18x oval eared dishes. This pack of 18 oval eared dishes is perfect for use in commercial venues, from cafes and schools to restaurants and hotels, thanks to their super strong construction and edge chip resistance. Great value and hardwearing, these dishes offer professional presentation for a variety of meals, from pies to lasagnes.